AK-47 is a legendary strain that has blown growers’ minds for some years now. 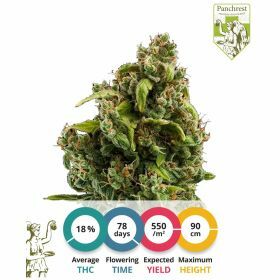 This strain is an all-time favorite and is grown by people all over the world because of its flexibility, ease to grow and fantastic fruity flavors. This Sativa-dominant hybrid strain has won Highlife cups in both the Indica as well as the Sativa category. AK-47 will grow to reasonable heights if you let it. It is an easy to grow plant that gives of a strong aroma and initiates a mellow high. Make sure that you take precautions when it comes to odor control. The scent that AK-47 puts forth will be recognizable in a wide area around the plant. AK-47 is a sativa-dominant hybrid strain. Its buds are very indica like, in the way that they are quite dense and small like golf balls. The growth potential of this strain is something that really reminds the grower of its sativa parents. It will grow fast in early weeks, producing loads of leaves to collect light. This vigorous growth is followed by the fast development of the buds. 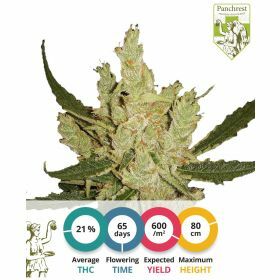 One could thus see this cross as being the best of two worlds: heavy sativa growth combined with typical indica flowering times. Grow advice: AK-47 is best grown in cool environments (22 – 24 degrees Celsius). 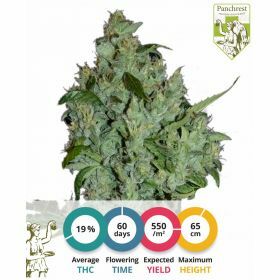 It is a fantastic strain to use for SOG grows, because of the relative low amount of side branches that it produces when switching to 12/12 really soon. Effect of this strain: AK-47 is a hard hitter that can drop a beginning smoker with just a few hits. The mellow, optimistic high is followed by a strong stoned effect that will last a long time. Smokers should therefore be advised not to consume large amounts of this bud at once.